The course of education given by the old lady was very simple, and graded with almost scientific precision. There was an alphabet, with rude pictures, for beginners.. though she never taught writing, her scholars were generally noted for their ability to read while very young. I know I could read my Bible with remarkable ease when I left her school, when seven years old. The next stage was spelling, and reading of the Bible. 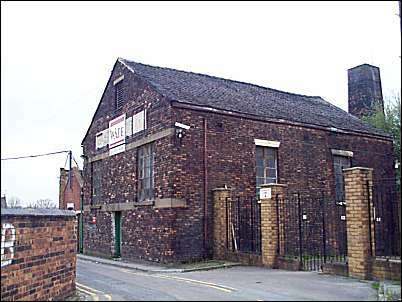 George Smith of Coalville, who became famous in getting legislation carried to relieve the children employed on brickyards, was one of old Betty's scholars at this time. If the old lady had only known that one of her boys would inspire and counsel lords and gentlemen in Parliament. Yet in her humble cottage begane the movement of impulses which should move the policy of the Parliament of England." 'Dame schools' were set up in their cottage living room by any old man or woman. Most were no more than a 'child minding system'. Charles Shaw attended a Dame School which was better than most. Many children were taught in Sunday Schools, the quality of instruction varied and it was only for a few hours a week and some of the teachers (although willing) were not equal to the task of teaching. The day schools were not so well attended (in 1841 there were 18,016 at Sunday School and 2,841 at day school) and the pupil:teacher ratio was high. Bell system - a monitorial system (Some of the pupils were monitors) - adopted by the 'National Society', which had close links with the Church of England. Lancaster System - A similar system to the Bell, but largely supported by the nonconformists. Both systems were funded by subscription. Introduced by the social reformer Lord Shaftsbury for the poorest of children. Benjamin Taylor (age 12) "I go to Sunday-school down to Methody's; can read, can write, can cipher a little; can tell how much 5 time 7 is, 21; 4 times 9 is 30 (sic);"
Lydia Dale (age 20) "I have been employed 6 years this Martlemas; can neither read or write; attended a Sunday-school a little, not long, at Stoke, Methodist Connexion"
Joseph Bevington (age 10) "Can read; can't write; have been to Jentvale Sunday school and a day school at Oakhill." Ann Dishley (age 9) "I have been a painter 12 months last Martinmas. There are eight little girls work in the same room with me. I can read very well, but can't write ; I go to Bethesda Sunday-school, and went two years to day-school; they didn't teach me to write." Charles Perry (age 13) "I have worked for Mr. Clementson two years.. Can't read or write, never been to Sunday-school much ; went to day-school for a little while when I was younger, and left to go to work." Hannah Jay (age 11) "I have been two years a painter... I can read and write a little. I went to day-school four years, and now go to Sunday-school ; but I have not been lately, on account of mother not being able to spare me." There are defects in the system of Sunday-school training …. children …being so profoundly ignorant as not to know one letter from another, and yet regularly "attend Sunday schools"
3) thirdly, on account of the teachers; who with honour be it spoken, are eight-tenths of the working classes, yet unequal to the task of teaching. I do not mean to detract from the merits of Sunday-schools as a source of religious knowledge, which by some is considered the basis upon which all others should be built, or from the moral effects resulting from the congregating of children in religious places; or from associating with religious friends; but would rather give my humble praise to the many sects who have with such determined efforts striven to stem the torrent of infidelity, profligacy, and drunkenness, and continue with pious zeal, in imitation of their founder, to extend the knowledge and love of God. Returns of Day Schools in the Staffordshire Potteries in 1841. ….the attendance upon these, as compared with the Sunday-schools, there is a sad falling off; nearly all of them are handsome and spacious edifices, and capable of holding and seating comfortably four times the number of children in daily attendance. 1) The first, and perhaps most prominent, I conceive to be that of sending children at too early a period of life to labour from morning till night, in hundreds of cases for 15 or 16 hours consecutively, with the intermission of only a few minutes to eat their humble food of "tatees" and "stir pudding", and where they acquire little else than vice, for the wages of ls. or 2s. per week, whereby they are necessarily deprived of every opportunity of attending a day or evening school. 2) Another is the total indifference of parents, who, although in numberless instances earning from 2s. to 3s. or 4s. per week, and not requiring the early labour of their offspring, nevertheless care so little about their immediate or future welfare, as to be equally satisfied whether they continue in ignorance or not. of Westport Road and Hall Street. portico remains (and is a listed building ). Note: This Sunday School was built when the teachers and students were locked out of the Methodist Sunday School in nearby Swan Bank. The Methodist Conference had banned any 'secular' teaching, reading was only to be from the Bible and the church Minister disapproved of writing on the Sabbath. The teachers at Swan Bank refused to adhere to this ruling and were locked out by the trustees. In the 1840s pottery manufacturers cited their support for such institutions to get their industry excluded from the factory legislation which regulated children's employment in textile mills and coal mines. As a result there were no restrictions on the age of children or the number of hours they worked in pottery factories until 1864. 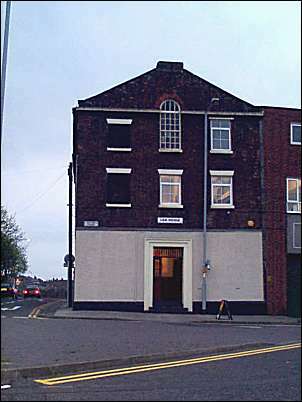 A three-story structure erected in 1817 at a cost of £2000. 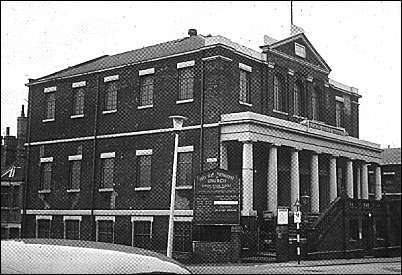 It was built to accommodate 600 children but was half empty in 1840 because most parents preferred to send their children to the Methodist schools and to Burslem Sunday School. Just off High Street, the Ragged School was for destitute children who could not afford even the small charge at the 'Hill Top' Sunday School (which was only a few hundred yards away).